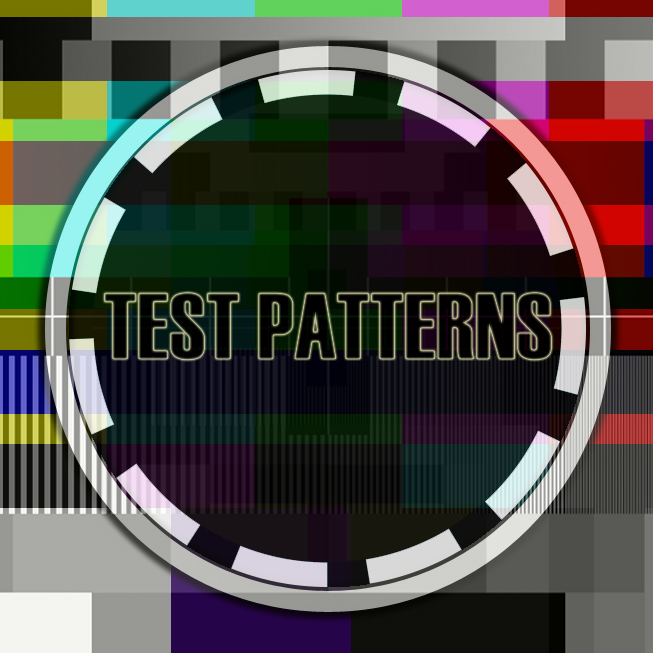 Test patterns are geometric charts used to calibrate video display and print quality. In television they are often accompanied by reference tones, which are audio files for testing signal transmission. Technical standards are visual, auditory, or mathematical references usually held by a regulatory, medical, environmental, military or corporate body to define a physical measurement. While test patterns and default settings are intended purely as technical tests, they are also criteria by which we judge “normal” vs. “abnormal”; “working” vs. “broken”; “acceptable” vs. “unacceptable”. From the Turing tests and timing crystals to Utah Teapots and tuning forks, test patterns not only measure but construct ideological forms of standardization and normalization for both human and machine alike. Test Patterns is an exhibition at Flux Factory that takes the totality of possible test patterns as source material in the creation of new artworks that respond and subvert the process of standardization. Test Patterns will present a variety of official test patterns, reference tones and physical standards along with artworks created by artists responding to these devices and metrics. Some artists may consider test patterns in a formal and aesthetic context. Others may use test patterns in order to critique and re-imagine how race, gender, sexuality, ability, and class are produced through technologies of measurement and abstraction by creating their own standards as alternatives. In this exhibition, artists may create their own new patterns or standards, or may choose to use supplied standards and patterns as raw material to interpret, process, and generate entirely new artworks. These works can be in many forms including sculpture, drawing, video, sound art, performance, computation, and other media. Please send your proposal to testpatterns@fluxfactory.org. Applications are due September 15th. <3 is a collaboration between Ed Doty, Fryd Frydendahl, and Flux Artist-in-Residence, Alex Nathanson, with additional contributions by Megumi Tomomitsu.